Welcome to our DECA page. DECA was founded in 1946, and since then has impacted the lives of more than 10 million students, educators, administrators, and business professionals. DECA's mission is to prepare emerging leaders and entrepreneurs for careers in marketing, finance, hospitality, and management in high schools and colleges around the globe. The school store is open during both lunches. Completely student run, the store follows all federal nutritional guidelines. You can purchase spirit items, such as tumblers, foam mohawks, and clinch sacks at the store as well. 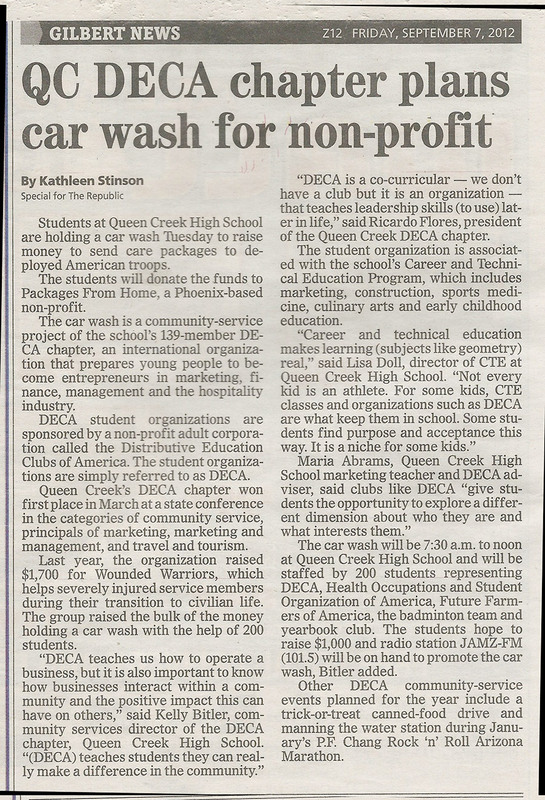 DECA is a co-curricular organization and serves as an integral part of the CTE Marketing program. An essential component of classroom instruction, DECA activities provide authentic, experiential learning to prepare students for college and careers. Partnering with local colleges and business, this student-centered organization promotes leadership and team building skills that instills a fundamental commitment to the growth of the communities in which they live. 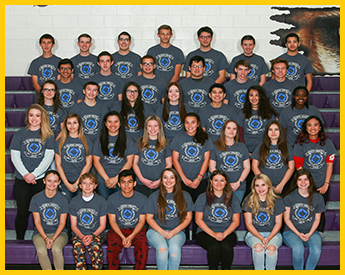 Each year, more than 100,000 students participate in competitions on the local, state/provincial, and international levels with over 3000 competing in Arizona at the District Career Development Conferences and almost 2000 competitors at the AZ State Career Development Conference. DECA chapter activities contribute substantially to the primary purpose of school to develop well-educated citizens who have self-confidence, self-esteem, leadership ability, community oriented, and have a working understanding of the American Free Enterprise System. Academically Prepared – DECA members are ambitious, high achieving leaders equipped to conquer the challenges of their ambitions. Professionally Responsible – DECA members are poised professionals with integrity and high standards. Experienced Leaders – DECA members are equipped to effectively influence their peers and provide leadership. In looking at these objectives, one might think that DECA is all work and no play. This is definitely not true! 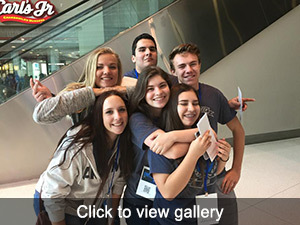 Queen Creek DECA host many social gatherings and community events for students during the course of the year in which new friendships are formed, social skills are developed and lasting memories are made. 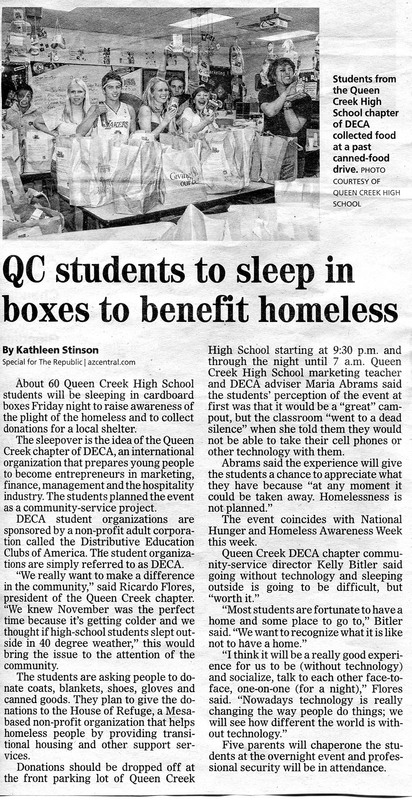 For more information, please feel free to contact Ms. Deidre Myers, DECA Advisor. "As a member of DECA during my junior and senior years in high school, I developed skills that I use even today as a State Senator. The competitions, projects, case studies, and hands on work made it one of my most memorable and fun experiences as a teenager. 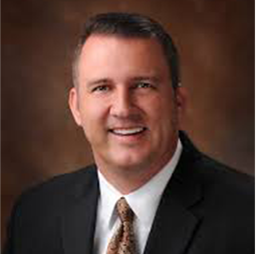 If you want to learn to think quick on your feet as both a leader and an employee, DECA is for you."